Looking for something fun to do for your next office get-together or birthday party? How about axe-throwing? What exactly does an evening of axe-throwing look like? Like any game, there are rules: two players compete at a time, each gets five throws per game, and you play best out of three games. To score points, the axe has to stick. 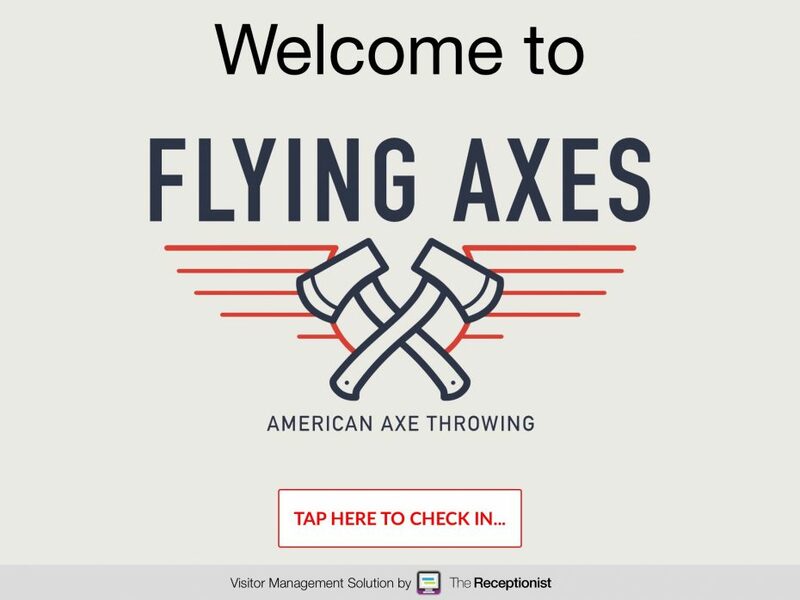 If it sounds strange, don’t worry — the Flying Axes crew is there to help you figure it all out. “Unlike bowling, where you get a ball and shoes and they send you on your way, we assign you a coach,” says Pennington. Every group learns how to properly throw, how to stay safe, and how to score games. Currently, Flying Axes accepts bookings for groups as small as two and as large as 50. “It’s more fun with more people, but we can also accommodate an intimate date night,” Pennington says. But before players can perfect their axe-throwing skills, they must sign a waiver, a process Pennington describes as “the least fun part of axe-throwing.” He’s a firm believer in using technology to make things easier, so he went looking for a tool that would speed up the waiver-signing process and not use so much paper. “I didn’t want it to be time-consuming or annoying in any way. I also wanted to eliminate the need to enter data manually,” he says. What we like most is working with unique companies like Flying Axes. 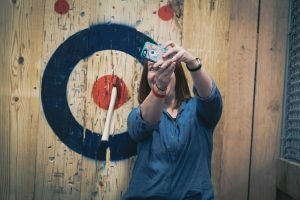 So, the next time you’re in Louisville, be sure to stop by, grab a beer, and try your hand at the wild and wonderful sport of axe-throwing. To learn more about how The Receptionist for iPad can help you automate visitor management at your business, sign up for your free 14-day trial today. 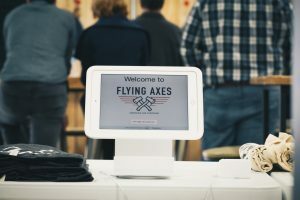 Flying Axes’ mission is to harness the fun, excitement, and community associated with the art of axe throwing.